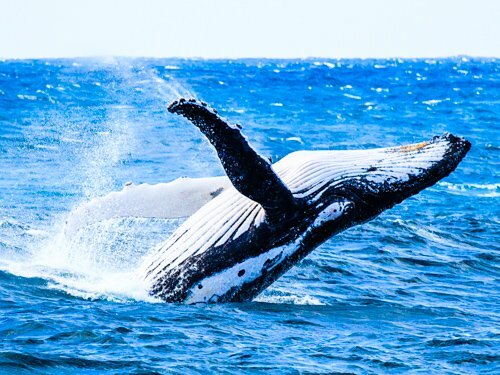 Top Boston Events for January 2019 include New Year's Day festivities, and lots more fun things to do all month in the city - indoors and outside. Kick off the New Year by watching Boston's famous L Street Brownies make their annual Polar Plunge. 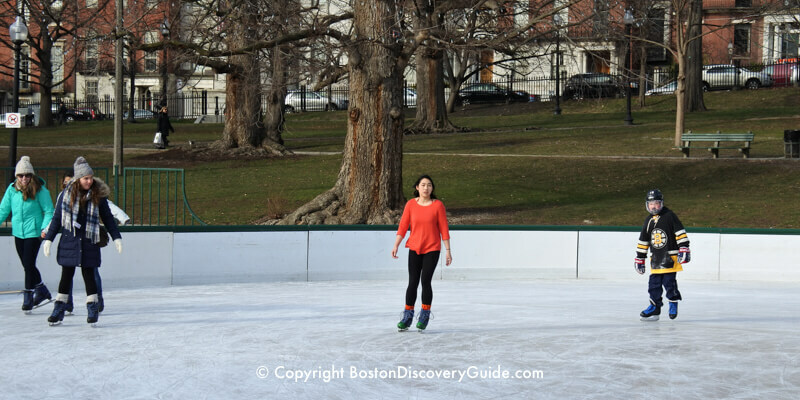 Treat yourself to a New Year's Day Brunch ... you can always work off those extra holiday pounds later at the Frog Pond Ice Rink on Boston Common. Join commemorations of renowned civil rights leader (and former Boston University student) Dr. Martin Luther King, Jr., savor wine and food pairings at the renowned Boston Wine Festival, head to the Garden to cheer the Celtics and Bruins, and don't miss Beautiful: The Carole King Musical at the Opera House. 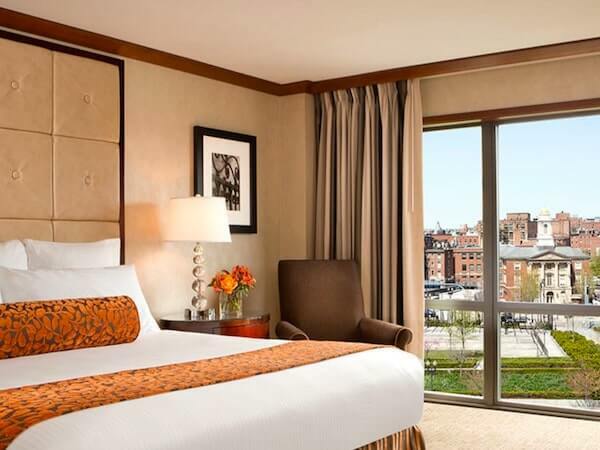 Many Boston hotels give you their cheapest discount rates of the year during January. With so much going on in the city, January is the perfect time to enjoy world-class music, museums, sports, restaurants, and more. With plenty of indoor warmth in our welcoming Irish pubs, historic taverns, and superb restaurants, you'll find a city filled with excitement, fun, good food, and cheer. More things to do and see in Boston in January. Get your Boston Bruins tickets for January home games, and head over to TD Garden for some fast action on the ice. 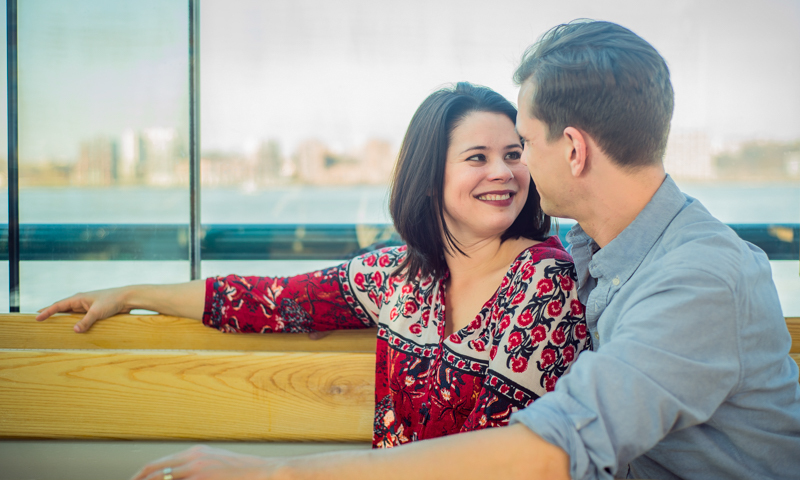 January can be cold, but don't let that stop you from seeing the city! These fun tours and indoor destinations will let you enjoy the best of the city while staying warm and comfortable! 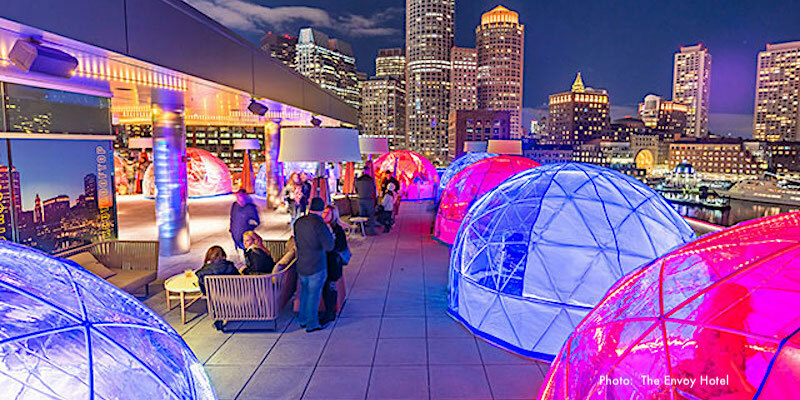 Igloos enclosing tables and chairs on The Envoy's rooftop bar - great way to enjoy the winter in Boston! 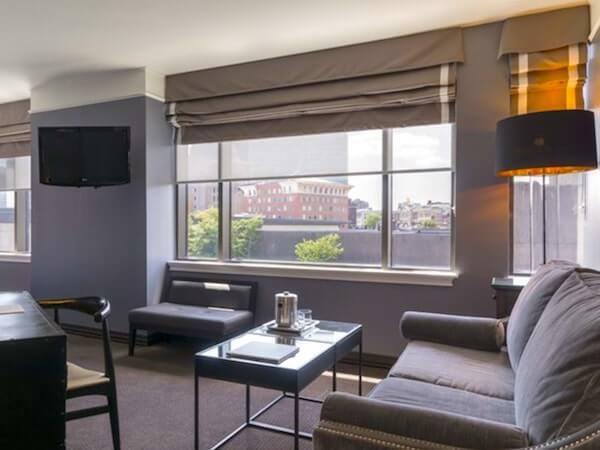 Boston hotel rates drop in January along with the temperature - so this month is a GREAT time to SAVE BIG on your accommodations (look for rates hovering around the $100 mark) while taking in a game or concert at TD Garden, a show in the Theatre District or a comedy club, or the New England Auto Show at the Convention Center. Envoy Hotel- South Boston Waterfront near Convention Center - Heated igloos on the rooftop terrace bar! 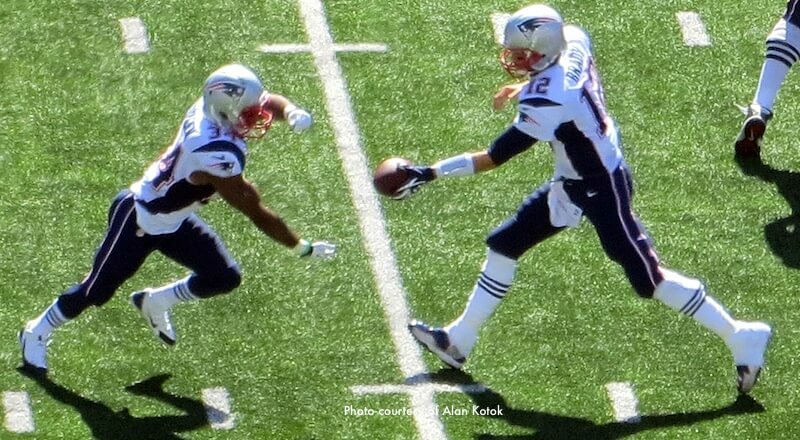 Patriots - It's Official: Super Bowl 53! Get your Boston Celtics tickets for January home games, and head over to TD Garden for some fast action on the court from our champion basketball team. 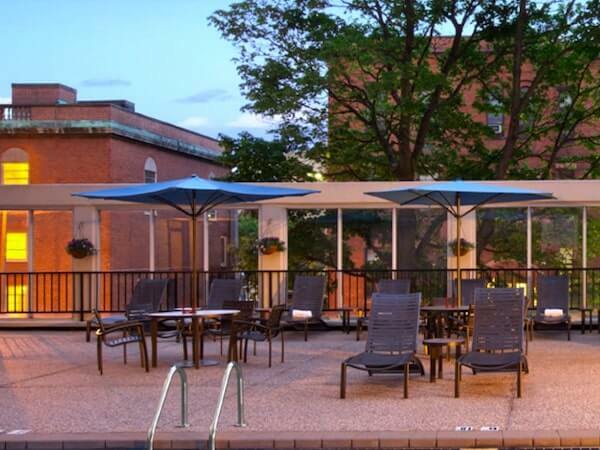 The Garden's convenient location next to North Station makes it super-easy to get to. MFA will celebrate Dr King's legacy with special exhibitions, performances, and free admission on Dr Martin Luther King Jr Day. Look for family-friendly activities and special exhibits throughout the museum celebrating Dr King, who lived in Boston while studying at Harvard and BU. Can't come on the 21st? 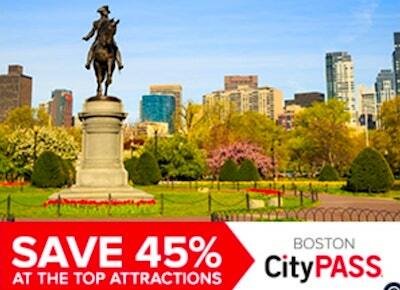 You can still get free admission if you have a Boston Discount Card. The festival takes place in three Harvard Square venues: Club Passim (47 Palmer Street), The Sinclair (52 Church Street), and The Atrium (50 Church Street). Winter Trails Day, on Saturday, January 5 is a national event designed to introduce everyone to the fun of being outside during the winter on cross-country skis or snowshoes. 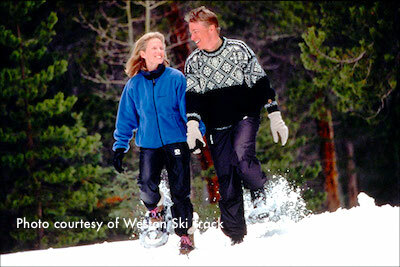 Weston Ski Track, located only 30 minutes west of Boston, offers free snowshoe and cross-country skiing lessons between 9am and 2pm. For snowshoeing, you get a free snowshoeing trail pass and a quick lesson; to stay longer, rent snowshoes on site for a modest fee. For the free cross-country skiing lesson, you need to purchase a trail pass (1-day passes are cheap) and rent skis if you need them (also inexpensive); you also need to pre-register to get the free lesson. Special lower rates are available for kids and seniors. Weston Ski Track also offers skiing and showshoeing daily throughout the winter, and has snow-making equipment for when the weather doesn't cooperate. Lessons are available for all ages. 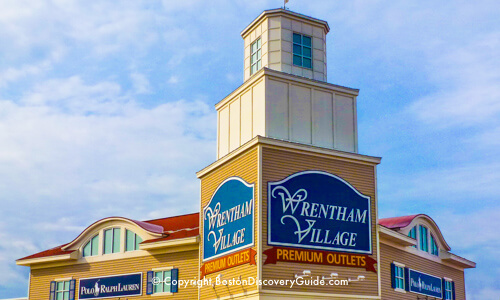 Best outdoor winter activities in Boston - Embrace the cold and love it! Ansel Adams in Our Time at the Museum of Fine Arts features a new look at America's iconic photographer of the West. 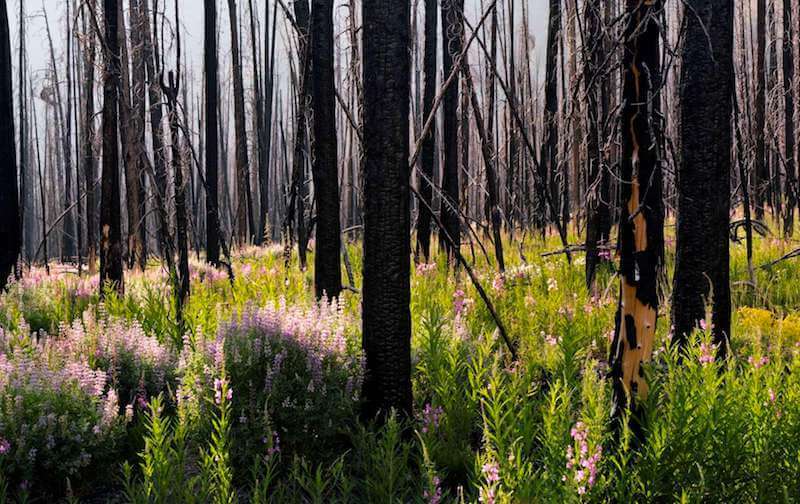 The show runs through February 24, 2019 at the Museum of Fine Arts, in Boston's Fenway neighborhood. Jason Moran merges jazz with visual art in this exhibit of experimental works pushing beyond the traditions of staged concerts and sculptures to explore their intersection. The enormous New England Auto Show (January 17-21, 2019) at the Boston Convention & Exhibition Center, 415 Summer Street, South Boston Waterfront) is by far the biggest in New England, and showcases all the newest models for basically every domestic and imported brand. If you're planning to buy a new vehicle in the coming year, want to compare models and features, chat with dealers and factory reps, or just want to keep up with the newest models and technology, you owe it to yourself to go! Shen Yun Performing Arts brings their brand new show of spectacular Chinese music and dance back to Boston's Wang Theatre. 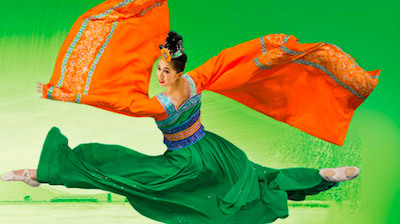 With incredible costumes, a full orchestra featuring Chinese and Western instruments, talented dancers, and animated backdrops, this mesmerizing show spans 5,000 years of Chinese dynasties, legends, and regions, including ethnic and folk dances, martial arts, drums, and powerful vocalists. You'll be dazzled by this unforgettable journey to the Middle Kingdom. Martin Luther King, Jr. Day is a national holiday celebrated on the 3rd Monday in January - January 21st in 2019 - to commemorate Dr. King's role in ensuring civil rights, peace, and equality in America. Dr. King lived in Boston for several years while he studied at Harvard and Boston University, where he received his Ph.D. in systematic theology in 1955. Take My Hand: 16th Annual Dr. Martin Luther King, Jr. Tribute Concert by the Boston Children's Chorus at Symphony Hall. January 21, 7pm. Tickets are $15-$75 on the BSO website (click on Tickets and Events). 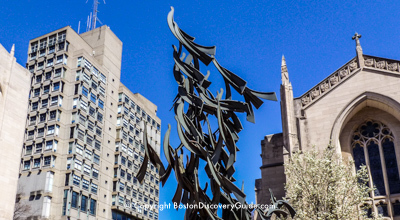 Visit the Free at Last sculpture (shown in the above photo) honoring Dr. King in front of Marsh Chapel at Boston University, where he studied from 1951-55. Then attend BU's annual Commemoration of MLK Day: Words Beyond the Dream (another of the city's biggest MLK Day events) at 2pm on January 21 (date to be confirmed for 2019) in BU's George Sherman Union Metcalf Ballroom (775 Commonwealth Ave). The event includes performances, music, and readings by special guests and students who reflect on the power of words to empower social justice and civil rights. More info: 617-353-4126 (Dean of Student's office). 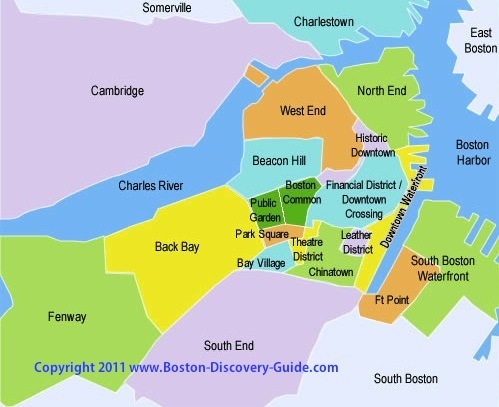 Visit Boston's Museum of African American History in Beacon Hill and walk along the Black Heritage Trail. A free MLK event reception will be held on January 17, 2019 at the African Meeting House at 12:15pm on January 17, 2019. Cambridge MLK Day of Service - January 21, 2019, 2pm-5pm - Meet at City Hall in Central Square to join other volunteers in making fleece scarves and blankets for homeless children, sorting food and books, and doing other things to help people in need. The event is free, but don't come empty-handed - please bring a can of food, gently used winter clothing, or a children's book to donate. MLK Memorial Breakfast, January 21, 7:45am - Join Boston's movers and shakers at this annual event attended by about 1,000 people at the Boston Convention & Exhibition Center (415 Summer Street). This is the nation's longest running event in honor of Dr. King's legacy. Head Table speakers this year include Governor Charlie Baker, Senators Elizabeth Warren and Ed Markey, AG Maura Healey, Congresswoman Ayanna Pressley, and others. The Old South Church Gospel Choir performs. Tickets start at $50 - see the Boston MLK Breakfast website for more information. Enjoy free admission on MLK Day at the Museum of Fine Arts, plus films, performances, and art activities to celebrate Martin Luther King Jr Day - 10am - 5pm. 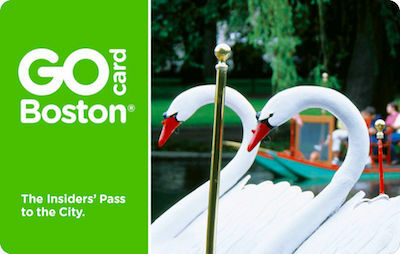 ICA Boston and the Isabella Stewart Gardner Museum also offer free admission on MLK Day. Head over to Frog Pond every Tuesday Night (except for major holidays, and school breaks / vacations) from 6pm - 9pm for College Nights. 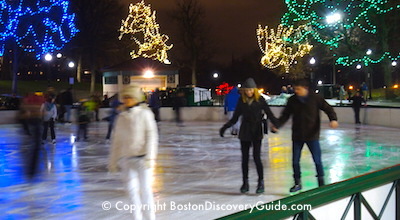 Show your current college ID and get half-price admission (bring your own skates or rent them for $12 at the rink) - it's the best Cheap Date in Boston! But for 2019, you can get an even better deal. 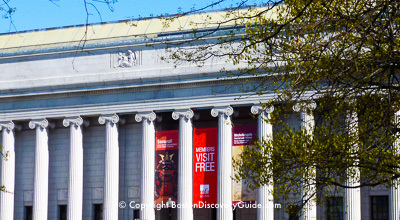 Each week, one or more colleges gets free admission. Check Frog Pond's schedule to find out when your school gets to skate for free. Boston Harbor Hotel's epic "Boston Wine Festival" kicks off its 30th anniversary with a special opening reception on Friday, January 11. Sample more than 50 wines from the many wineries featured this year, and enjoy seminars, receptions, and brunches as well as world-famous dinners. 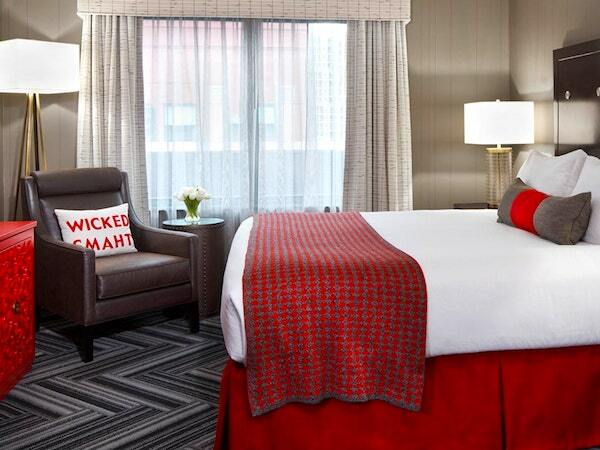 Attendees receive a special room rate of $270, based on availability - call 617-439-7000 for reservations. 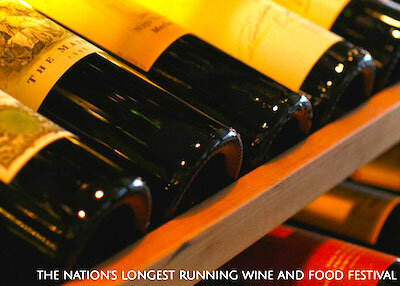 The Boston Wine Festival continues through March. 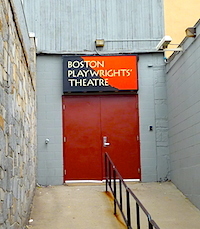 Here's your chance to see terrific theater from 50+ Boston area playwrights - in a 3-night marathon at the Boston One-Minute Play Festival. The 4-day event benefits Boston Public Works, a Boston playwrights' collective and event co-sponsor, along with Boston Playwrights' Theatre. 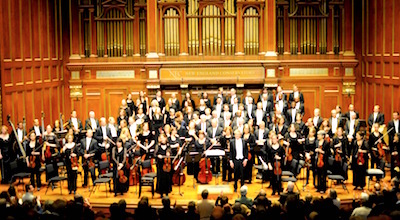 Boston Baroque welcomes the New Year with a thrilling performance of Handel's Fireworks Music and Bach's Violin Concerto in A Minor. Celebrate with complimentary champagne and chocolates during intermission. Are they crazy . . . or just incredibly fit and brave? Ever since 1904, the L Street Brownies celebrate the New Year by plunging into the icy waters of Dorchester Bay and raising money for local charities. If you're visiting Boston and want to have a true "insider" experience of our real culture - head to Carson Beach/L Street Beach for this famous Boston event on January 1. Up to about 500 swimmers typically participate in the New Year event. Irish bagpipers usually play until they also jump in the water. 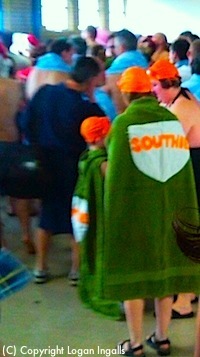 A large crowd of friends and onlookers cheer the swimmers on while passing around towels, vitamin C, and flasks. Many of the L Street Brownies, a polar bear swim club formed in 1902 and named after the L Street Bathhouse in South Boston, swim here daily throughout the year. As with many things in Boston, this is the oldest Polar Bear club in the nation. Although most members appear to be 50-something or younger, a number are in their 80s and 90s and attribute their strong immune systems to the daily exercise and icy water. Each year, the plunge is dedicated to the memory of past and recently departed Brownies. Do the Brownies ever cancel their plunge due to cold weather? They didn't in 1918, when the record low was 3 degrees below zero (not counting wind chill). The temperature this year is supposed to be 5 degrees above zero at the time of the swim - balmy by comparison. 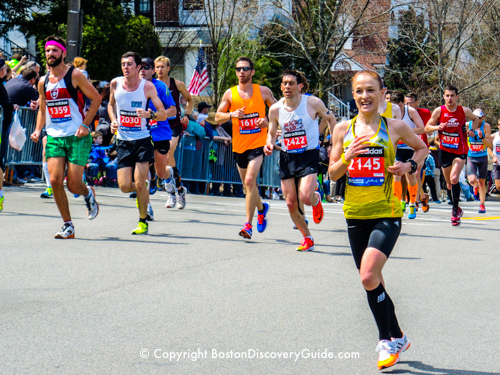 Closest T station: Red Line/JFK-UMass Station; walk half a mile to the Curley Community Center. Alternately, take the T Red Line to Broadway Station and transfer to the #9 or #11 City Point bus. The locker and shower rooms won't be available at all this year, so if you're swimming, come dressed for the swim and bring some dry (and warm) clothing. In case you're not familiar with this beach, you should know that it features lots of rocks and shells, so swim shoes are a good idea. More to know: You must be 16+ to participate. Lifeguards will be on duty. No pets or alcohol allowed. Creative costumes are encouraged. Strong recommendation: Leave kids under 12 at home, as no inside areas are available where they can keep warm during the swim. This is especially important this year due to the FRIGID weather! So, you partied all night to greet the New Year and slept until noon . . . but now you're awake and starving! 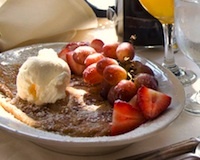 What Boston restaurants serve New Year's Day brunch? Be sure to make advance reservations, as lots of Boston locals as well as visitors go out for brunch on New Year's Day to get a good start on the New Year. February Events - Happening soon!